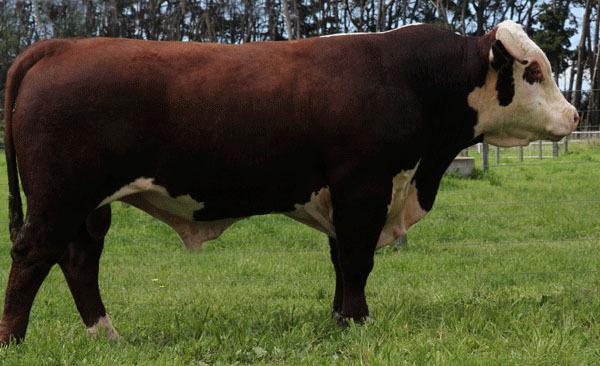 Mawarra Class Act: Class Act is a powerful sire with an excellent temperament and true Hereford colour and cosmetics. His sons have sold to $11,000 (Expedition, 2017 Herefords Australia National [Wodonga]) and his 43 calves have recorded an average birth weight of 38.5kgs. Class Act weighed in excess of 1400kgs as a mature bull, and he is a trait leader for SS. He will be represented in our 2019 catalogue by six sons, Lots 1, 8, 17, 43, 47 & 48, and three daughters, Lots 87, 88 and 91.